The Mindray DC-6 ultrasound is a premium color Doppler system bringing you reassuringly high productivity and reliability. This high level of performance comes from, in part, the DC-6 ultrasound’s optimized image processing technologies and integrated clinical software packages. 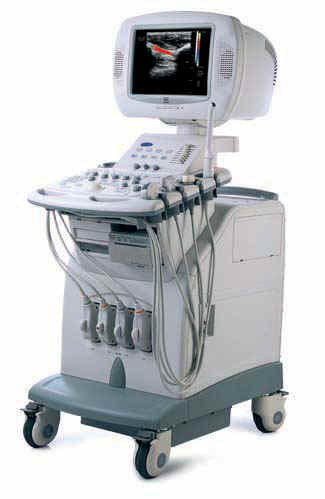 The Mindray DC-6 ultrasound is engineered for use in exams of adult & pediatric abdomen, adult & pediatric cardiology, fetal cardiology, gynecology, obstetrics (1st through 3rd trimesters), kidney, prostate, thyroid, breast, and other small parts, as well as peripheral vascular and carotid. With its user-friendly interface, the Mindray DC-6 ultrasound integrates many image optimization solutions to simplify the diagnostic procedure, reducing repetitive adjustments, and increasing workflow efficiency. Some of the workflow features include iTouch for automatic one-button image optimization, IP adjustment parameters, iStation intelligent patient information management, and more.